Moving is hard for everybody, especially if you have children living at home. Leaving behind neighborhood playmates, best friends and school routines is hard for little ones, elementary-age kids and teenagers alike. Whether you are moving across town, to Greater Lansing, or to another state, the stress of the change means extra care needs to be given to the younger members of your family. Make the move into a family adventure for you to share together. Keep everyone informed on what’s going to happen and when. If you are moving because of a job promotion, tell your kids why you’re excited for the change. Maybe you’re moving to a warmer climate, to a ski or beach area, or maybe to a bigger house. 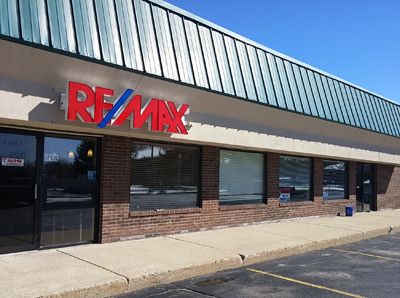 If you’re looking for property for sale in Michigan, our Remax Okemos MI realtors would love the chance to work with you. However it’s possible, accentuate the positive. Include the children in as much of the move preparation as you can. Do a little research on your new community and make a list of the fun things to look forward to do there. Parks, pools, sports teams and schools are just a few of the features that should be of interest to the whole family. Let them pack their unbreakables themselves. It will give them something to do and may actually be a help for you. The kids might be able to sort out clothes or other things that they don’t want any more. Have bags and boxes marked “Donations” handy during packing so the extra stuff is gone before the move. Make sure each child has at least one “Open Me First” box with their most special toys or possessions to be unpacked right away. Talk about the layout of your new place and let the children choose their new rooms. Planning paint colors and where their bed and belongings will go can ease the anxiety when packing up their old rooms. When you finally get to your destination, try to get their rooms unpacked and sorted as quickly as possible. Familiar objects in the new house will be comforting for everyone. Sticking to a routine during the move will be a challenge, but do the best you can. Regular mealtimes and bedtimes will help keep emotions more steady. If you have a regular family game night or movie night, make that happen even if you’re still living in boxes or on the road. For many children, especially teenagers, leaving their friends behind is the toughest part of a move. Encourage them to keep in touch with their old group as they work on finding a new circle. With the abundance of social media available, they can easily Skype, text and FaceTime with their old friends. Make an effort to meet your new neighbors and get your children involved in activities as soon as possible. Go together to the new school to meet teachers and the principal. It will take some time for your children to feel at home in your new location. Don’t expect it to happen overnight; the process will likely take several weeks. But eventually, the unfamiliar will become normal and your transition to your new house will be complete. We can refer you to a list of trustworthy and reliable companies in the area.